The is part one of the best trilogy of fight’s there has ever been in heavyweight boxing . When Riddick Bowe vs Evander Holyfeild to see who would become the undisputed Heavyweight Champion of the World , in an era where that actually meant something , thats what’s we all want to get back to . I was born in 1986 so i do not remember this fight but i do remember my Father sitting up all night to watch it , which meant no one else could have watched it if they wanted to anyway because my Dad had very poor eye sight back then and had to sit infront of the screen and he used to take up the full TV screen so no one could see the fight . For years anytime boxing chat got brought up in our company my old man would always say ” Ali vs Fraizier was fantastic but have seen Bowe vs Holyfield ” . I would say i watch this fight maybe six times a year as it has everything in it . Evander Holyfeild is another of my faverite boxers of all time , a man who was a master of the dark arts of boxing aswell as having one of the best lead left hooks I’ve ever seen . Although Holyfield was born in Alabama he was raised in Atlanta in the Bowen Holme Housing Projects , a notorious place filled with crime . From 7 years old Holyfield started boxing and took to it like a fish in water . At 21 years old Holyfield went to the LA Olympics where he contraversially lost to New Zealand’s Keven Barry , As some of you may know is now Joseph Parkers trainer . Holyfield went on the beat Buster Douglas after Douglas pulled of the shock of the century by KO’in Mike Tyson in Japan to become the undisputed champion of the world . What people need to understand is that Holyfield never got any credit at this time . Buster Douglas got a 13count on the canvas against Tyson that night . Even though Douglas got up and KO Tyson , people just wouldn’t accept Holyfield . Holyfeild’s first defence did nothing to win the fans over as he fought the very old George Foreman and then Journeyman Bert Cooper ( This Was Due To Tyson Pulling Out) . Holyfield wanted to test himself and was eager to take on the monster that is Riddick . Keep an eye out for Riddick Bowes jab from half way through the second round . 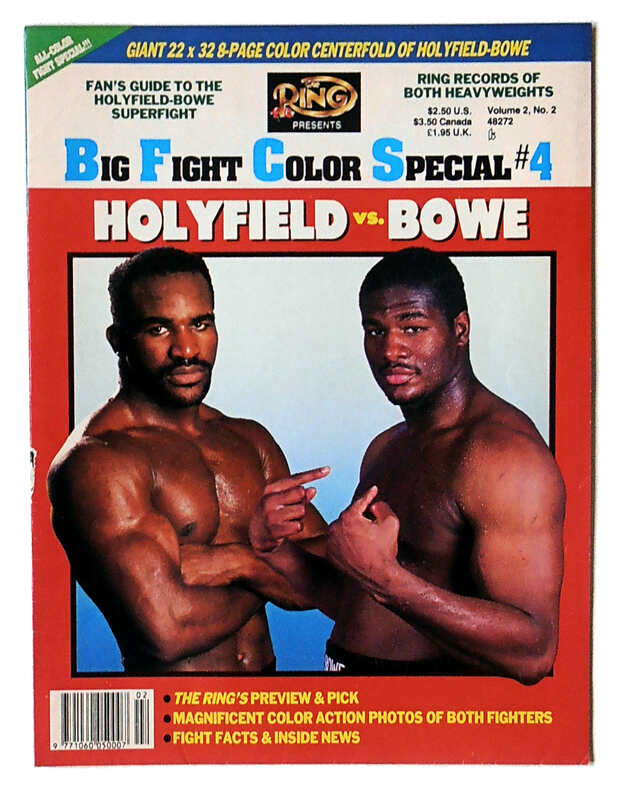 Also watch how Holyfield try to tie Bowe up inside , but doesn’t realise the giant Bowe is fantastic on the inside . Finally look at how good Holyfield is at the dark arts , remember that is only cheating if you get caught .